My recent trip to Ireland brought back memories, especially of my maternal grandparents — Mary Ann Ganley from Westmeath, and Patrick Beatty from Meath. 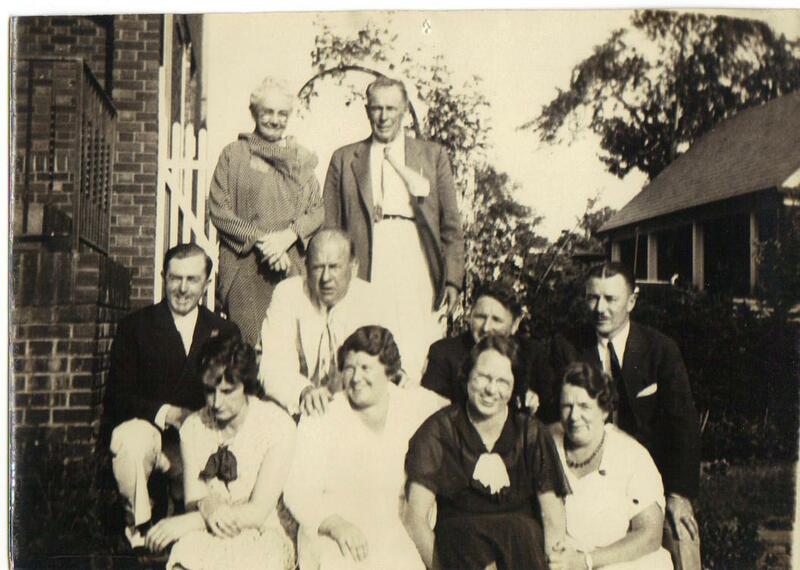 Almost neighbors in the midlands, they didn’t meet till they emigrated to America. I remember sitting on Grandma’s lap in a rocking chair as she sang songs and told Irish tales. When I was older, she told the story of leaving her family at 15 years of age and sailing with strangers to America. As happened often then, she became ill on board — and when the ship arrived in Castle Garden in New York City she was diagnosed with scarlet fever and kept in a hospital, not allowed to enter the United States. Her Uncle Pat had been waiting at the pier, but had no way of knowing what happened, believing she may have died and been buried at sea — a frequent tragedy on overcrowded, unsanitary ships. As Mary Ann recovered, she helped care for other sick women and thought of staying at the hospital , making that her life’s work. But she decided to leave, coming on shore at the Battery on July 4, 1876 — the celebration of America’s Centennial. The crowds, parades, music and firecrackers startled the young, country girl. She had a piece of paper in her hand with an uptown address where she had a job as a maid waiting, and she bravely walked all the way. She was hungry and bought what she thought was an apple from a cart — having heard the fruit tasted delicious — and was disappointed when she bit into a tomato. Grandpa emigrated in 1890 at 25 years of age, and worked at several laboring jobs, one in a slaughterhouse, finally as a steam fitter for the U.S. Post Office, according to the 1910 Census, retiring with a pension. I’d heard he started by shoveling coal into the post office furnace. Mary Ann and he both regularly sent money home to Ireland. They met, married, bought a house in Brooklyn, and raised and educated four children, two boys and two girls, the last my mother when my grandmother was 41 — my age when my son was born. I’ve always been a late bloomer — more details to follow in future posts. But I’m encouraged to know that Grandma Moses, the American folk artist, became renowned when she was 79 — my present age. Aunts, uncles and cousins enjoyed Mary Ann and Pat’s hospitality on many occasions – eating, drinking, talking, laughing, hugging, kissing, and exchanging presents. Thirteen first cousins and three second cousins were fed first, and while the adults ate we slid down the bannister, spun on the piano stool till we were dizzy, played with toys, and sometimes got into mischief. My cousin, Jack Beatty, got a finger caught in a slammed door, but his piercing screams brought help, and it became a cautionary tale. We played in the basement coal bin once, leaving evidence on our party clothes — so that amusement was off our agenda. I envied the older boys riding up and down the hallway dumbwaiter by pulling the ropes. No girls allowed! It was just like the one on “Upstairs Downstairs” but no servants filled and emptied it for formal dinners. That one was for carrying trash. I don’t think the adults ever found out what else it was used for. The girls were stationed as lookouts. Families were closer in those days. Occasionally one of the aunts annoyed another and there’d be a few gossipy phone calls. But the adults were each other’s best friends and the cousins bonded. A lot has been lost with families spread across the country, even world. With all the modern means of communication, there’s still nothing to take the place of a warm lap, a hug, being in the same room with someone you love. Upward mobility isn’t possible today for people like my grandparents. It’s not a stretch to imagine the return of the upstairs/down-stairs era if this stupid economy continues. Uncle John was a member of the New York Curb Exchange, later the American Stock Exchange. They had maids working in their big house in Caldwell, New Jersey. And they had a chauffeur who even drove my cousins back up a hill after they’d sledded down. Somewhat spoiled? Their father’s health deteriorated after the 1929 Crash, and he died at 42. My grandparents mourned him all their lives. Other memories: Grandma putting wood in the stove, cooking huge dinners; watching her knead Irish soda bread; my sister and I combing Grandpa’s sparse hair as he sat in his easy chair, using holy water to wet the comb; him dancing a little jig in a puddle at the Rockaway shore for my amusement. When he had a stroke, he and Grandma lived with us for a time. After he died at 87, Grandma went home to Brooklyn, refusing my parents’ invitation to move in with us. She called a few weeks later: “Come get me. I’m ready.” When my dad died of cancer the next year at 45, she was a blessing and a comfort, though not well herself. My mom said she couldn’t have managed without her. The following year she died at 83. And she taught me how to make the Irish soda bread I now bring with me to sad and happy gatherings. I’ve modified Grandma’s recipe, though. One day, short of white flour, I used half whole wheat and brought it to a luncheon celebrating Black History Month at my old parish, St. Mary Magdalene’s in Springfield Gardens. Got compliments on my recipe — which could be considered interracial. I make my soda bread this way all the time now. May try all whole wheat some day.